Here are a few pics of a recent job for the lovely Claire and Stuart. They went for an 'Off the rack' design 'Text Only' and added their personal touch with a customized map, extra insert, RSVP postcard and address labels. A fabulous colour palette of beautiful bronze, cream and black was chosen and resulted in a stunning combo. 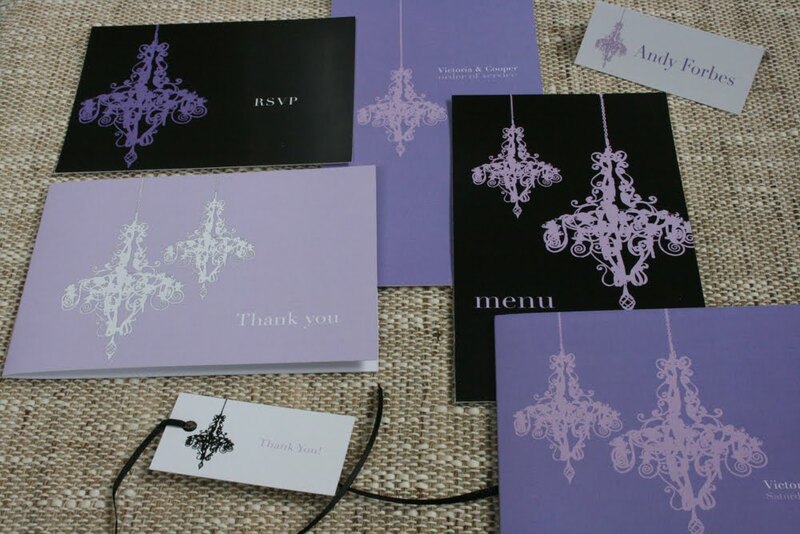 Simple and elegant with a bit of edge. Love! Thought we would let you know when we will next be out and about for a show and tell! The next event we will be appearing at is the The Stamford Wedding Soiree at the gorgeous Stamford Plaza Auckland. The details are Saturday 21st August 2010, 5.30pm - 7.30pm, Albert Street, Auckland. 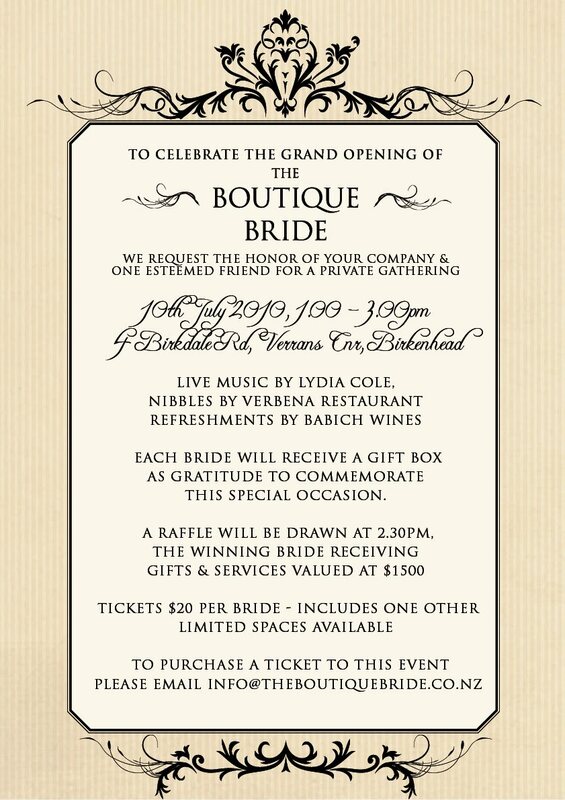 So come along for some bubbles and canapes, meet the wedding specialists (and meet us of course!) 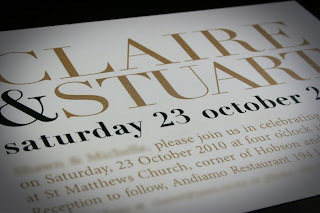 and check out the fabulous venue that is the Stamford Plaza. A quick pic of the show we did earlier this year! 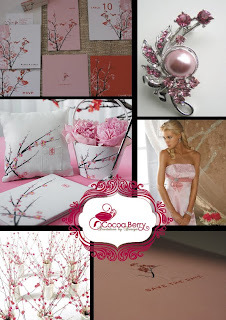 As you may or may not know Cocoa Berry is part of The Boutique Bride and it is very exciting to announce that the grand opening is upon us!!!! Hello Interweb. 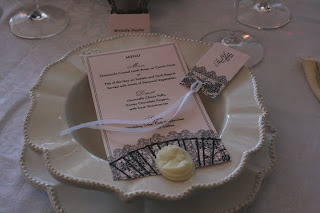 Feeling more and more like a bad blogger at the moment - I notice my last post was in MAY whoops!!! So here goes the first post for June. Another example of taking one of our off the rack designs, adding your own touch and making it extra special. 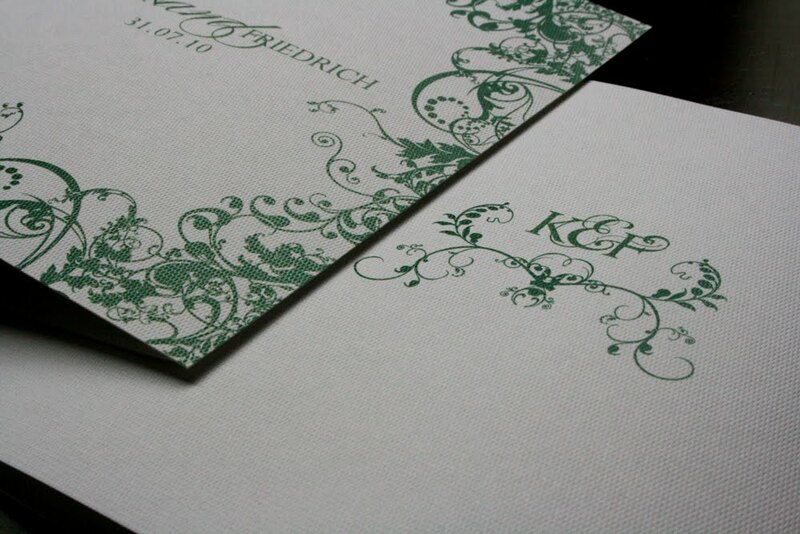 Kirstin and Friedrich chose the Decorative Frame design and changed the colors to fit their theme of Jade green and crisp white. 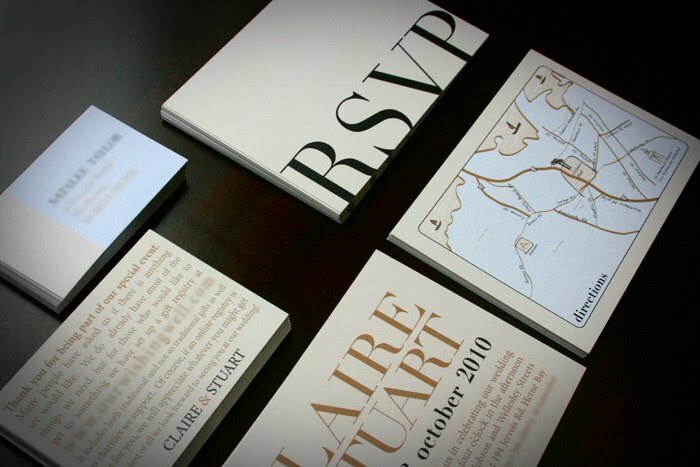 To make their invites extra special they chose two types of speciality paper stock. 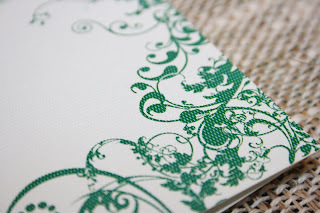 A textured paper for the outside and a delicate translucent paper for the inside. 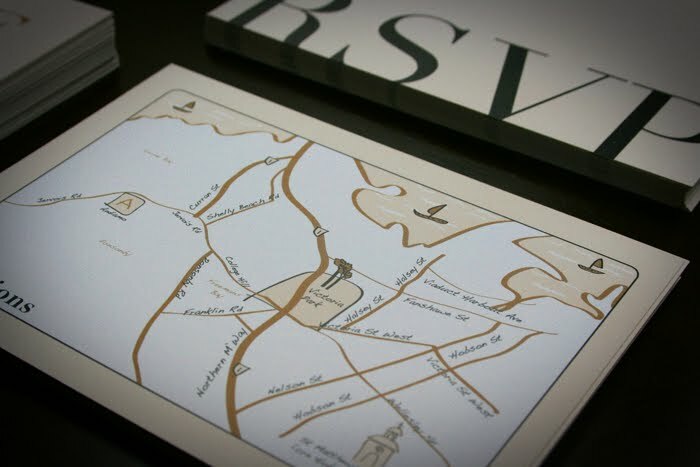 Add in the custom designed motif of their initials, and you've got yourself something rather special. 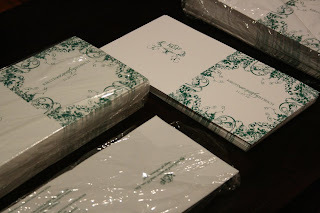 Here are a few pics of invite and the construction of the final product. Thank you Kirstin and Friedrich you were an absolute pleasure to work with! 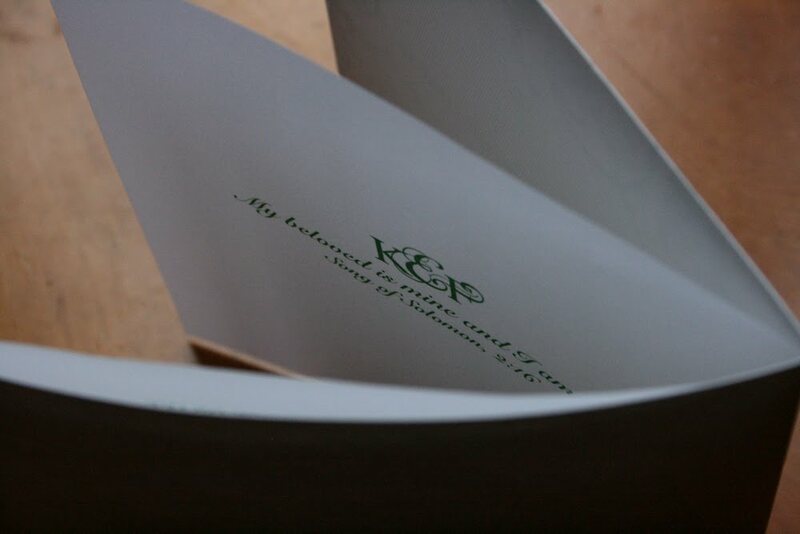 Looking down on the inside, with insert. Well its well and truly winter down-under. Cold nights and wet days so far - not so so good. 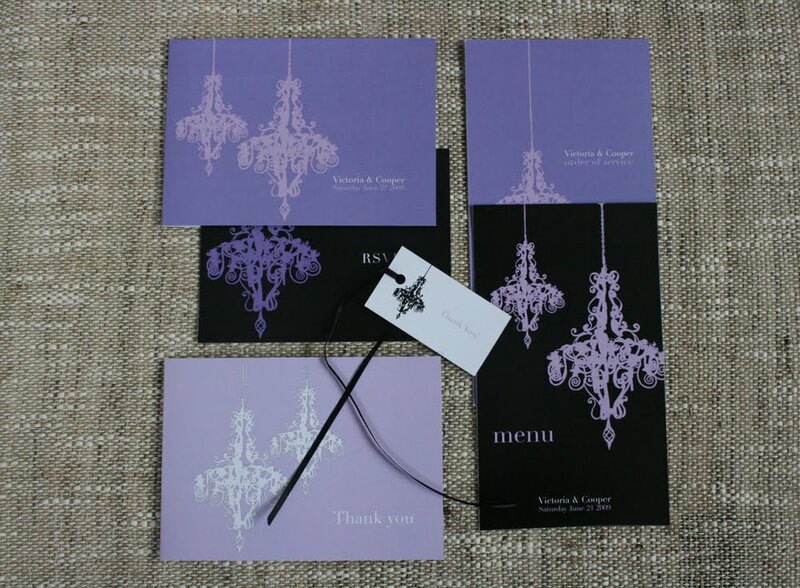 I thought I would post a few picks of our Chandelier designs which I think would be perfect for all those winder weddings. 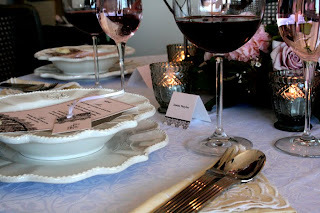 To me it evokes visions of a reception full of flicker teas lights as the evening grows darker, open log fires, red wine and snowy peaks in the distance. Bliss! See the full set of Chandelier here. Hello All! Sorry in the delay in posts - things have been a bit hectic recently at CB! 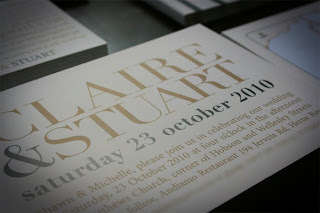 I wanted to share with you a few pics of these delicious invites using silver and gold foiling. 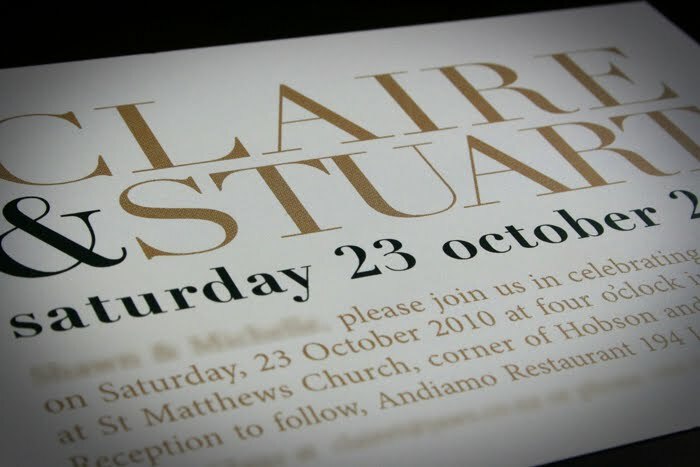 Taking your invites + stationery to the next level - making it EXTRA special - can be achieved with silver or gold foiling. Metallic printing is usually associated with more 'traditional' wedding stationery but using it in combination with a modern design can make it so effective. YUM! Silver and Gold I'm crushing on you! 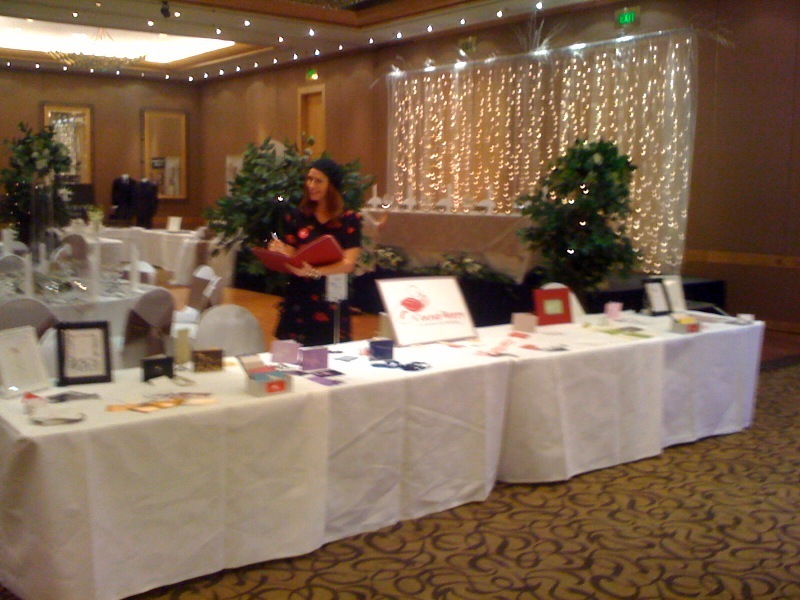 Hello All, well we are just getting back into the swing of things after the Bride and Groom Wedding Show last Sunday. Such a full on day but a great chance to meet loads of new Brides (and Grooms!) 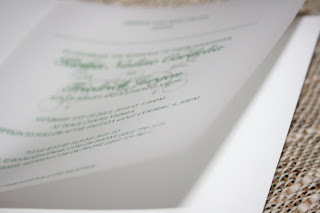 we are looking forward to working with you guys! Some exciting news!! 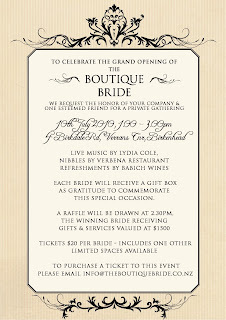 We are announcing that we are part of The Boutique Bride! 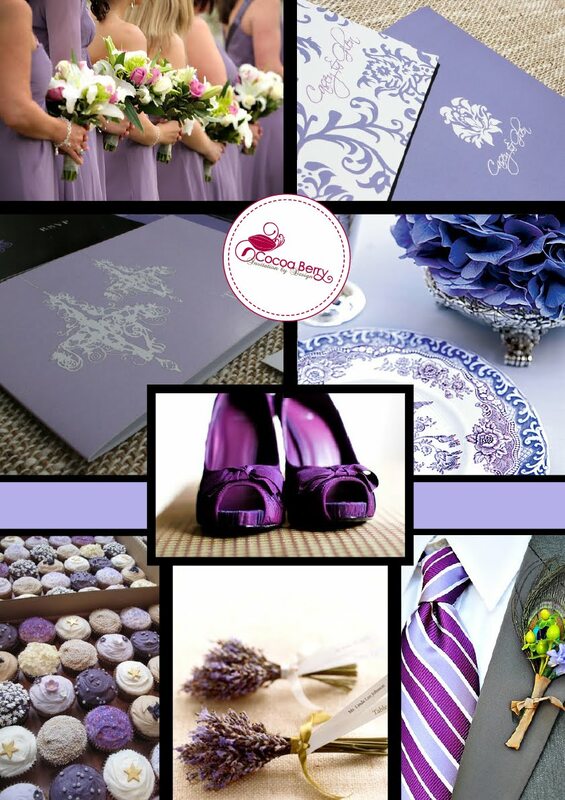 A small collective of wedding specialists where brides can find more then one supplier and plan their wedding with ease! 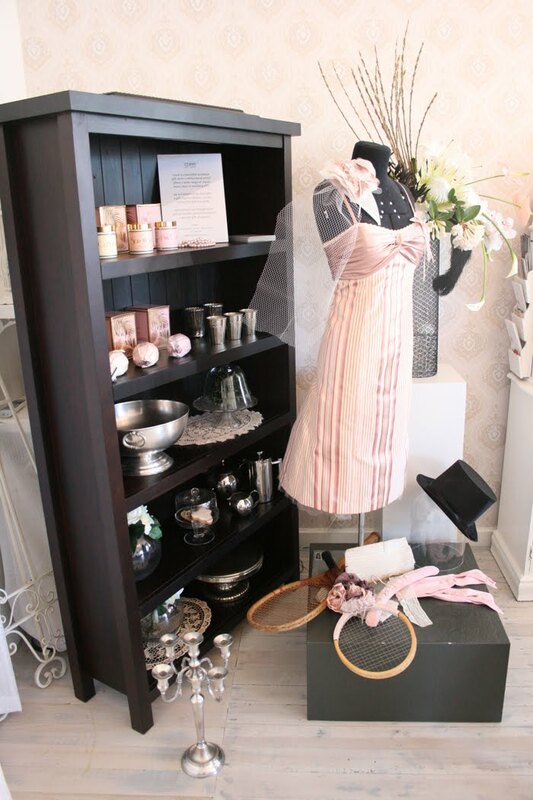 There is a BEAUTIFUL boutique based in the North Shore, Auckland a wonderful place to meet and have a chat about your needs over a coffee. Loads of eye candy and friendly specialists there to help! 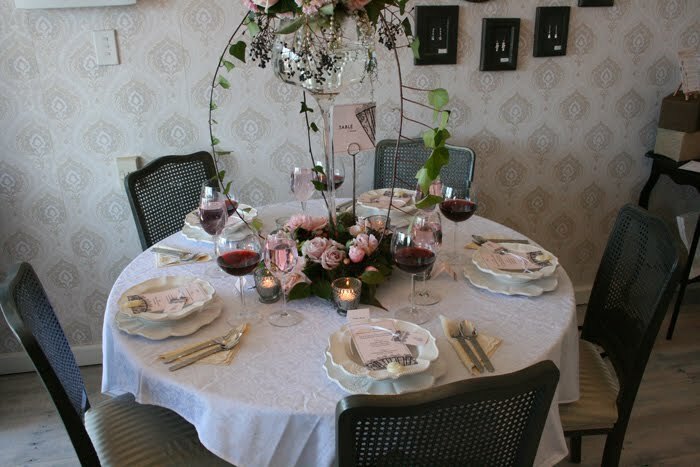 At the Boutique Bride their aim is to create individually styled weddings and to provide a stress free service where all the hassles of planning a wedding can be taken away. Sounds perfect!! We are very excited about working with The Boutique Bride team - expect many more posts to come! 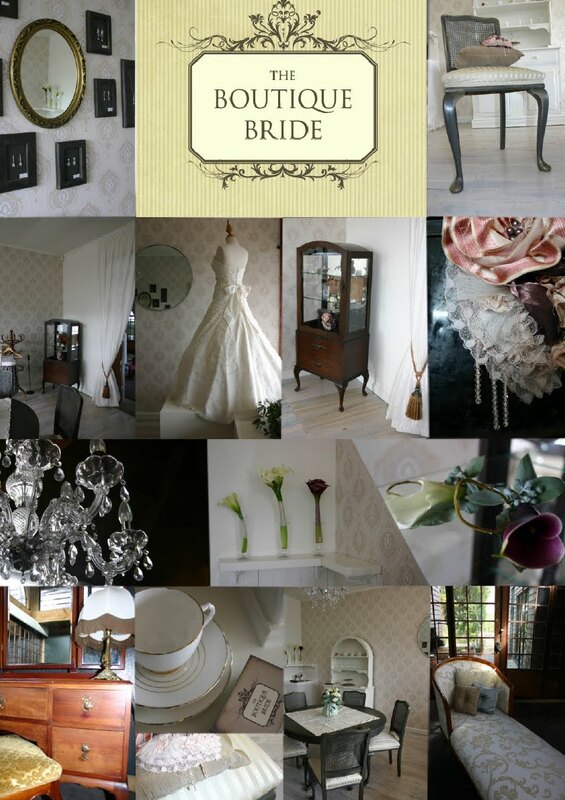 Here is a quick photo board of the beautiful boutique itself. Make your appointment today! 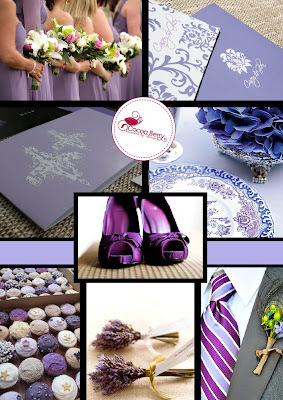 An easy theme to incorporate in to your wedding theme - flowers and dresses and shoes! oh my! And don't forget all the stationery options....our 'chandelier' set is full of hues of Lilac check it out here. 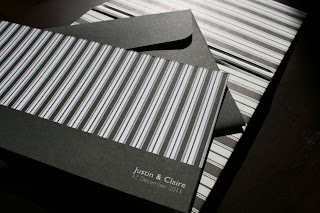 Or Kirsty and Gary's Save the dates..seen here... is a perfect example. Along with all our off the rack and Tailor made designs we have a range of ready to go postcards. 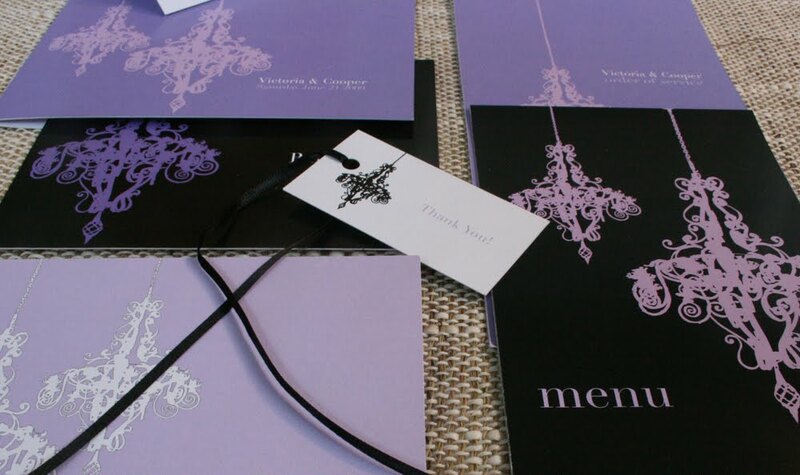 These are a great idea for gifts and are also a quick and easy way of sorting all those thank you notes for after the Wedding!! 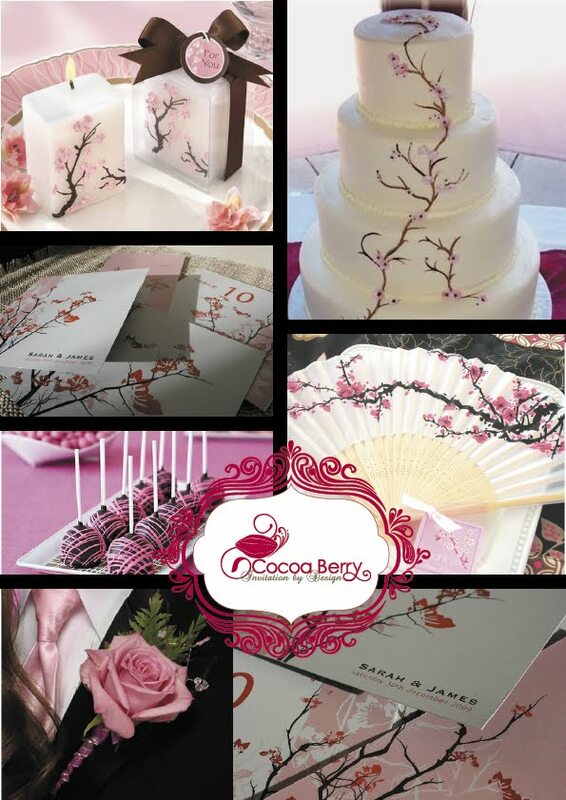 Here are a few pics of some designs... contact us here for further info. Another Wedding Show has crept up on us! 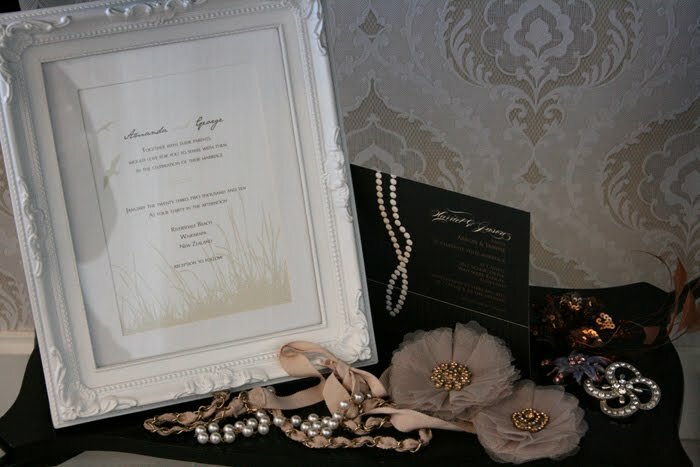 This Sunday we will be at the Bride and Groom Wedding show at Ellerslie Racecourse, Greenlane Auckland. From 9am-5pm. 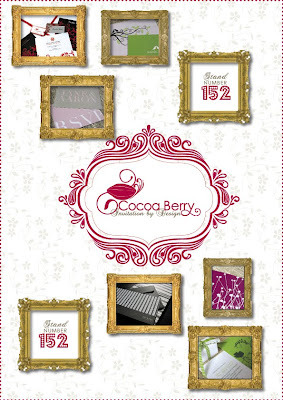 Lots of inspiration and ideas, prizes and giveaways but most importantly....COCOA BERRY!! Come and say Hi, check out some new designs and grab some info. We'd love to see you! 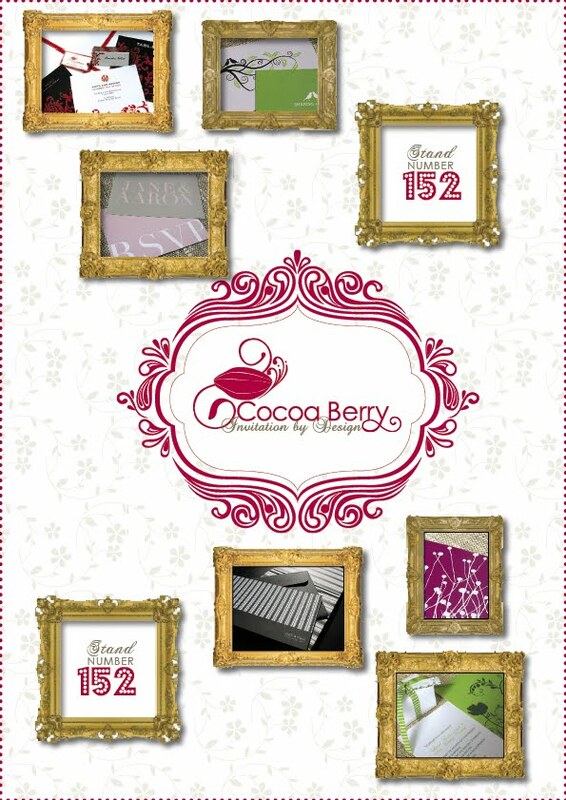 Stand number 152. One fifty two. 1 to the 5 to the 2. See here for more info on the show. 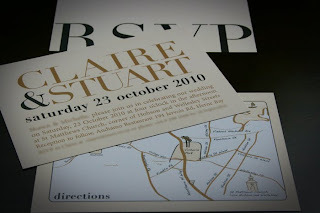 A little snapshot of a few designs from recent times. 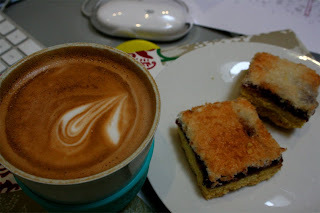 Thought it would be fitting to have a quick post about ANZAC day. One of our designs speaks for itself. Ever got to the afternoon and felt like something is missing......sweet sweet coffee I love you. Entirely unrelated to weddings or stationery...but completely related to me right now. I LOVE everything about Lilly's. Their smell, their beauty, their name. 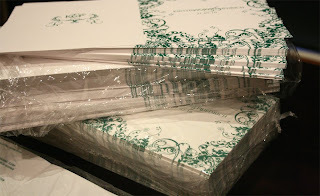 Its a natural association with Weddings so it came easy to design a full set for our stationery 'off the rack' section. We've had the pleasure of working with Kirsty and Gary on their Save the Date cards for their up and coming nuptials. 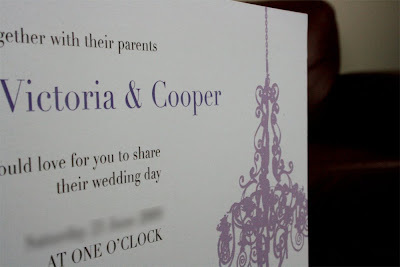 Kirsty came to us with a very clear idea (and some creative license!) and we worked together to come up with the following design. 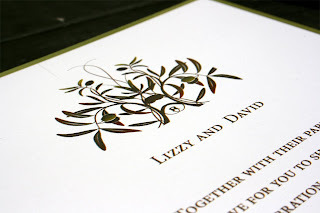 With Gary being Scottish and Kirsty being a Kiwi (and the marriage taking place in NZ) it was important to them both to include Gary's heritage - hence the Scottish Thistle being the core element to the design. It also has extra special meaning - being the the symbol of the country they first met in. Bliss! 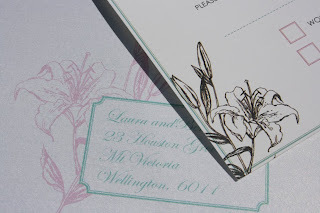 Kirsty chose a slightly textured paper for her Save the Dates - adding to the rustic elegance in the overall look. 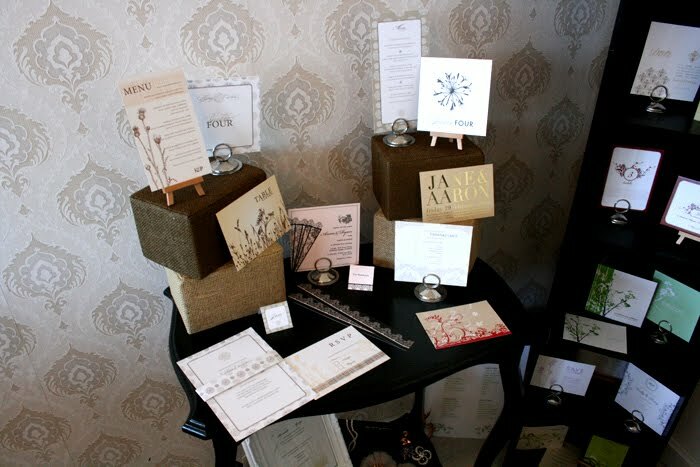 We are looking forward to working on further stationery with Kirsty and Gary later down the track. Contact us here to enquire about your own Save the Dates. Olive Groves are a popular venue for weddings so why why not let your venue influence the design of your stationery. Lots of greens in the palette contrasted with a crisp white background makes this a earthy yet elegant design. Hello! Here's a pic of one of our designs from our off the rack section 'Stripes of Love'. Shown in a black and white colour scheme. Effective and striking and would tie in nicely with a black and white themed wedding. 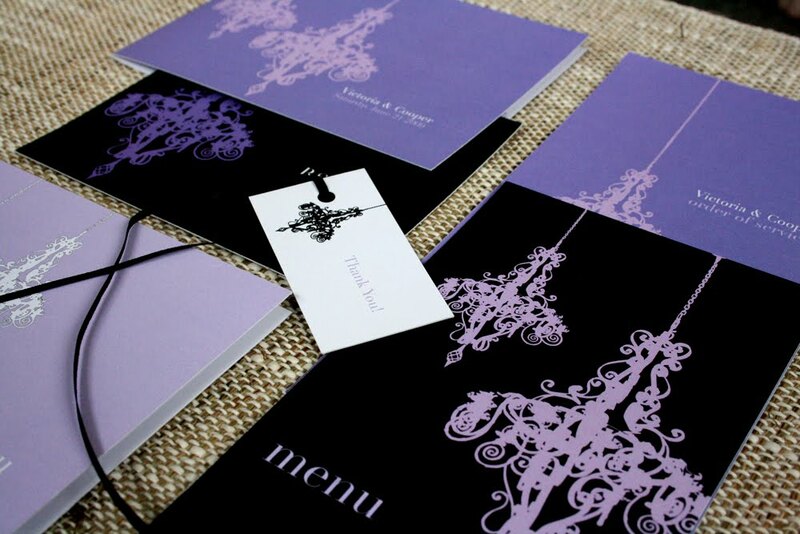 It is also a design that is simple whilst still being elegant. 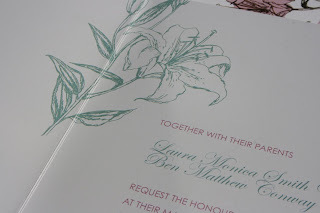 Another bonus is that it is not too feminine - so all those groomies out there will enjoy the design too!